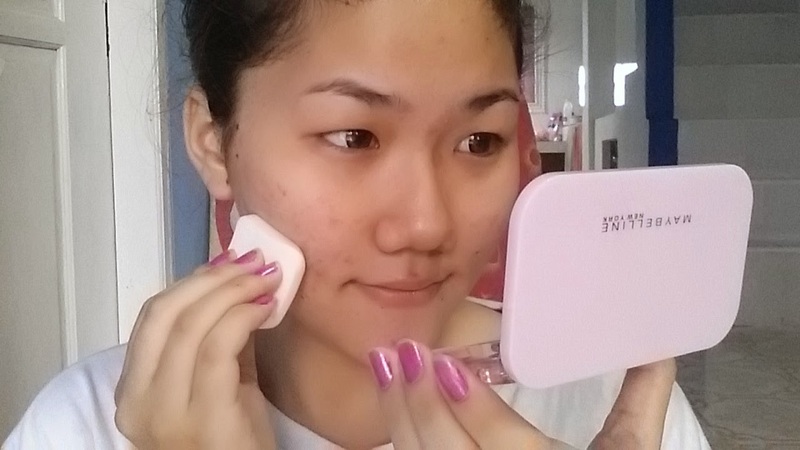 Today I'm making Simply pink makeup turitorial using mostly maybelline products including their new clear smooth all in one shine free cake powder. 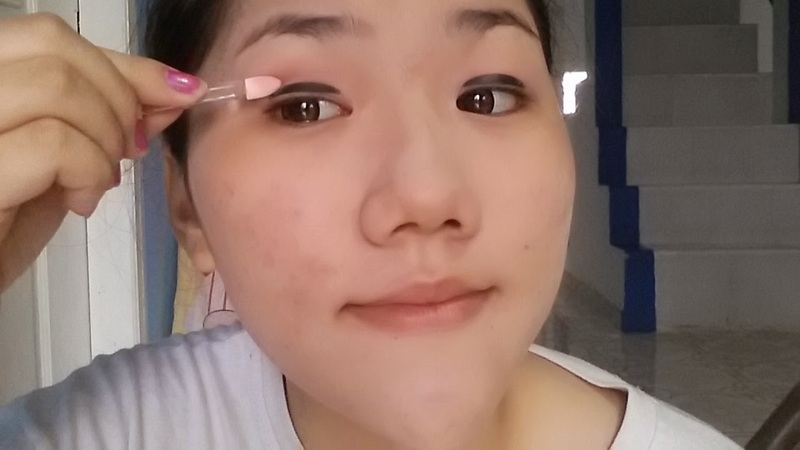 First I'm using maybelline clear smooth all in one shine free cake powder. 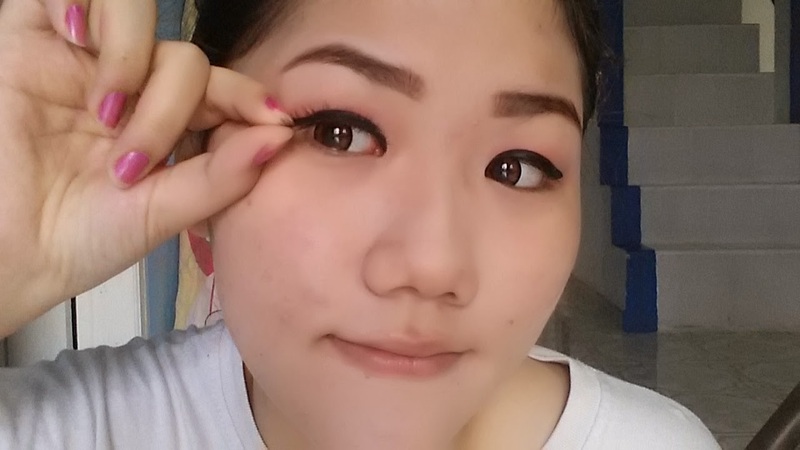 and burgundy color on the crease. 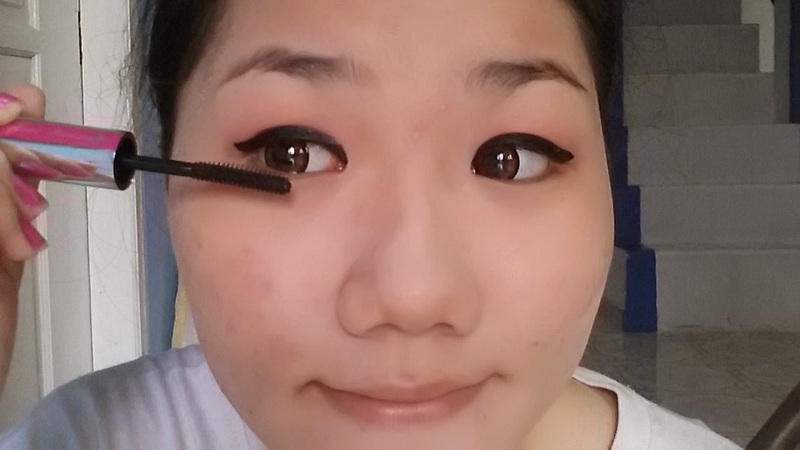 After you blend the eyeshadow, apply eyeliner. 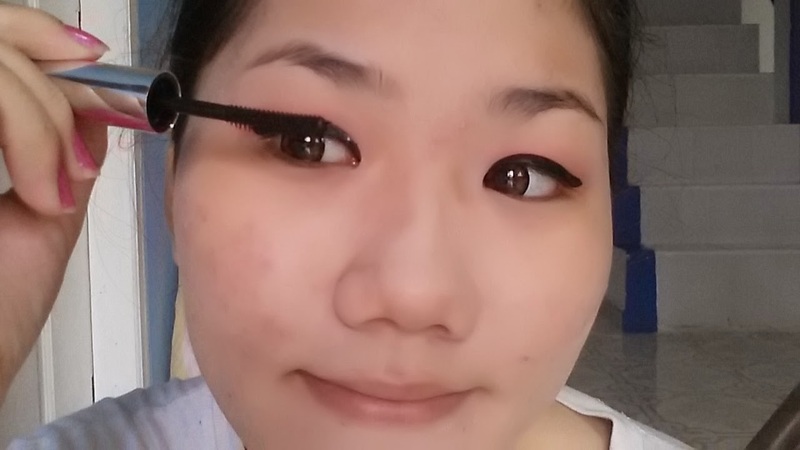 I'm using maybelline hyper glossy eyeliner in black. 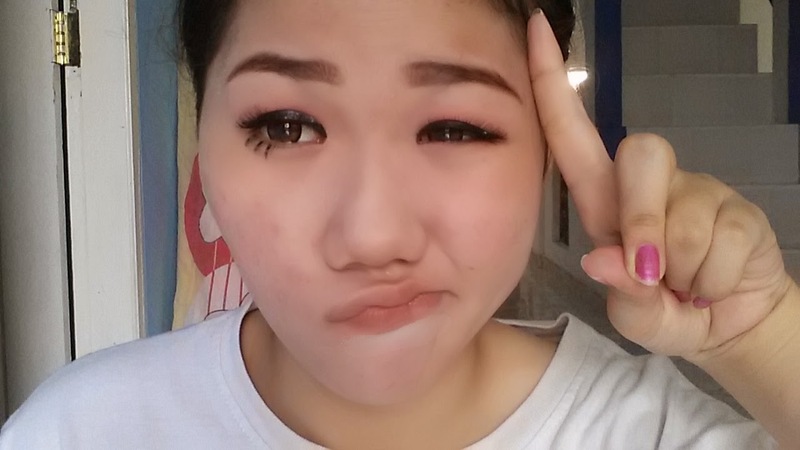 Next, curl your lashes and apply mascara. 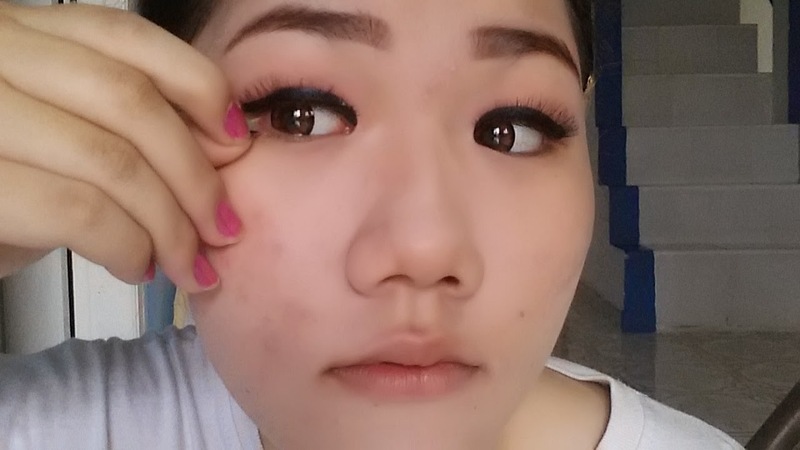 Apply to your lower lashes too. 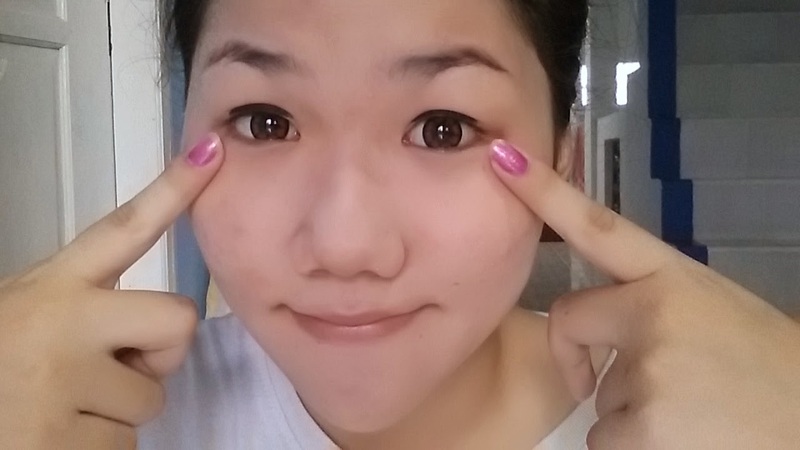 Continue with eyebrows. 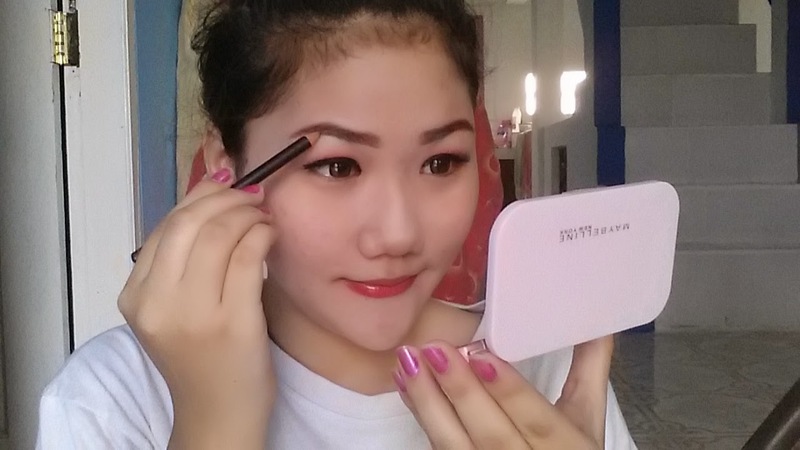 Draw your eyebrows with one or two shade lighter than your hair color. 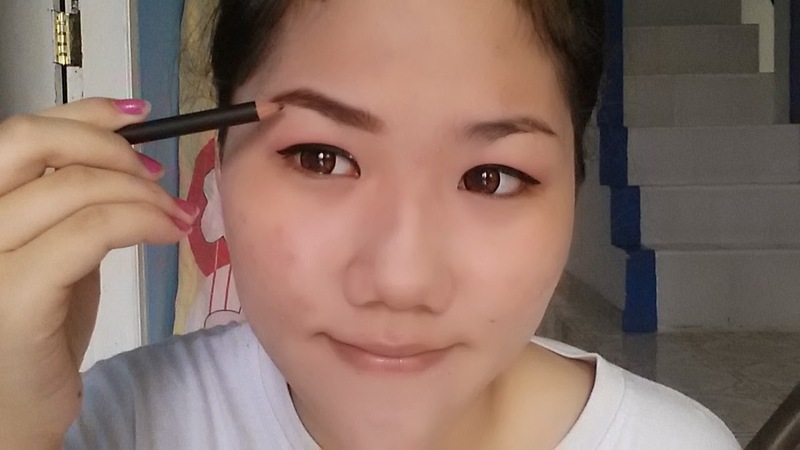 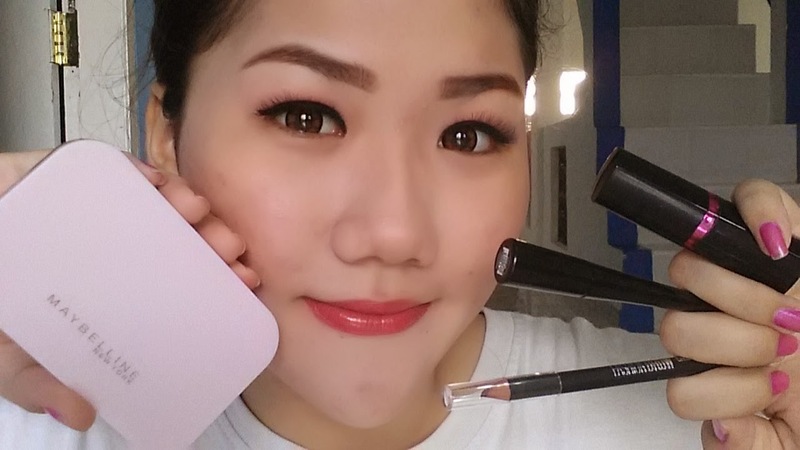 I'm using maybelline fashion brow cream pencil in brown (review soon). 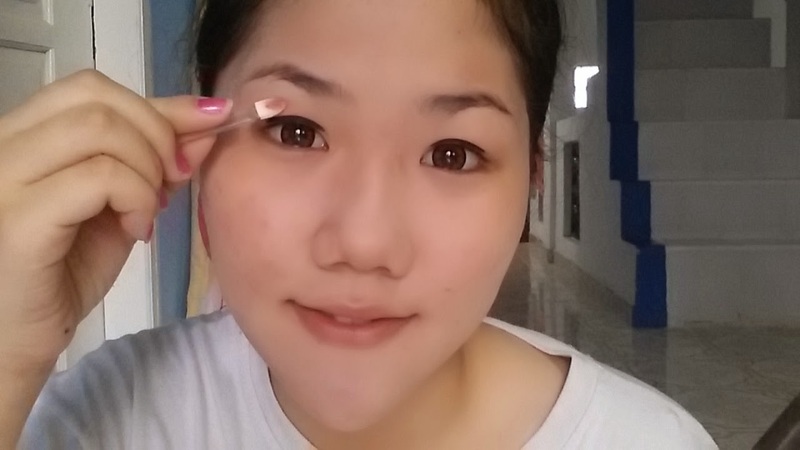 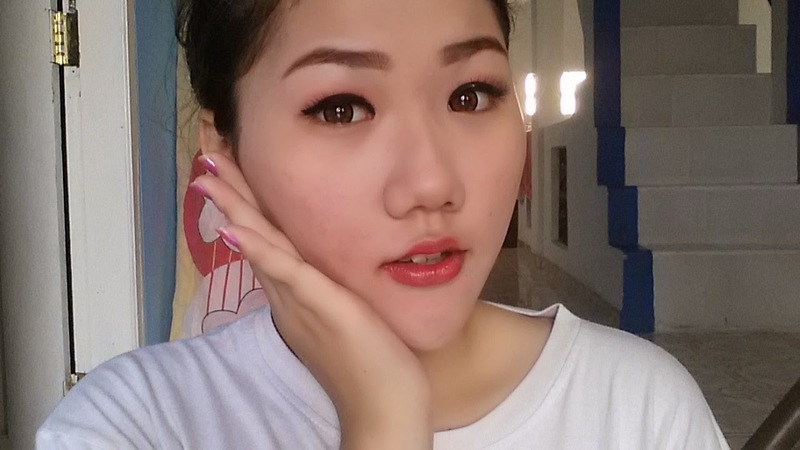 Use natural type fake eyelashes to give bigger eyes and longer lashes effect. 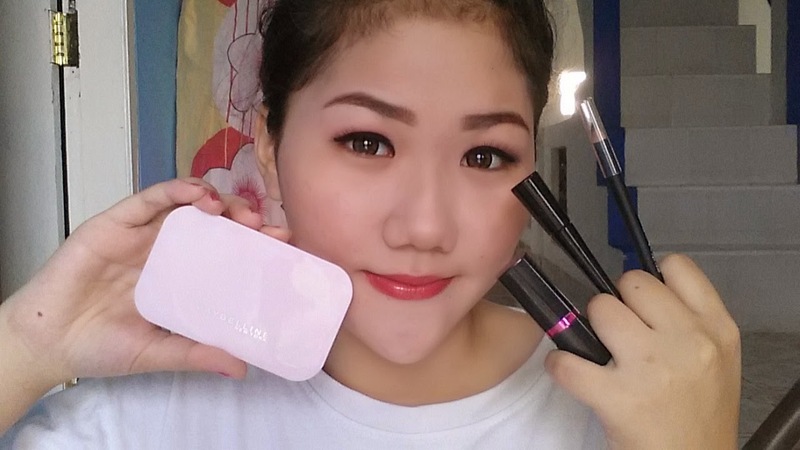 Don't forget apply pink lipstick to complete your look. 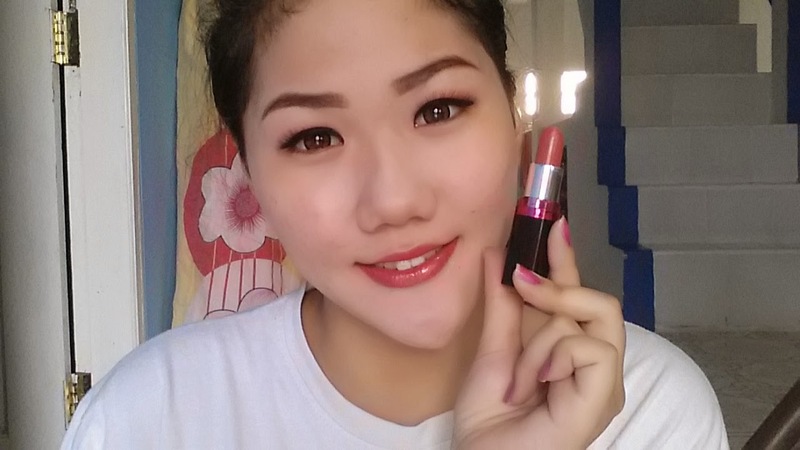 I'm using maybelline colorshow lipstick 105 pinkalicious. 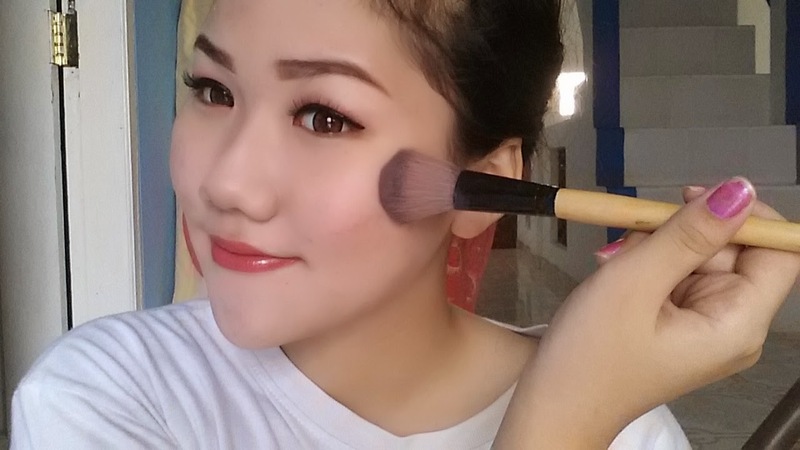 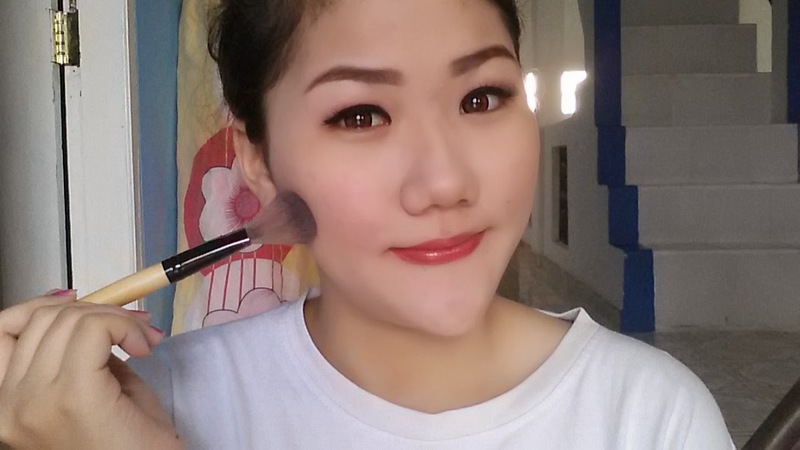 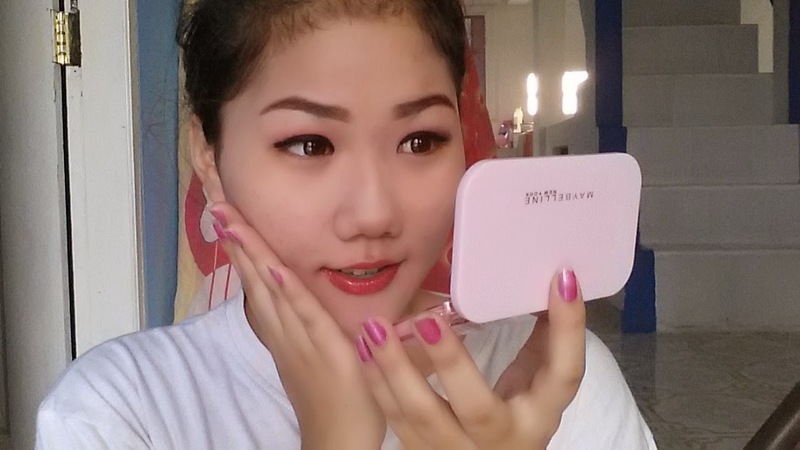 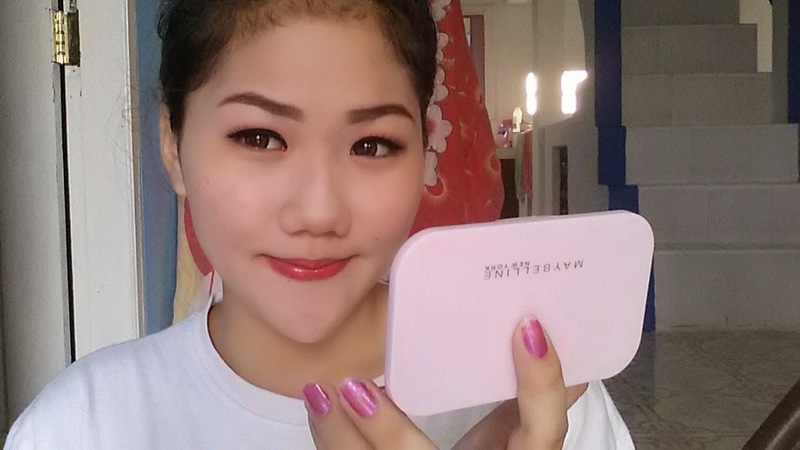 Last, apply blusher with shimmer in soft pink color in your cheek. 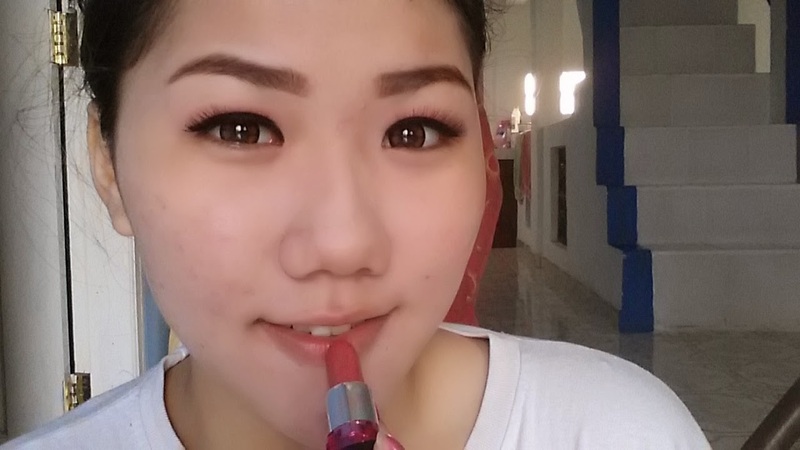 This look is perfect for you who wants to get sweet look to the party but still look natural. 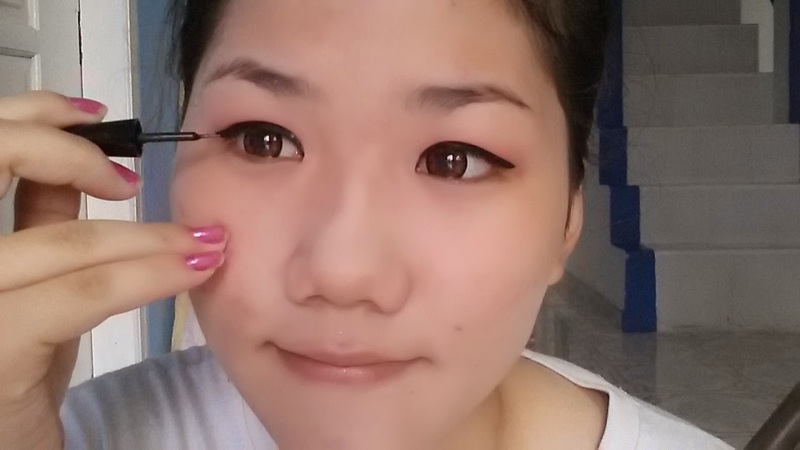 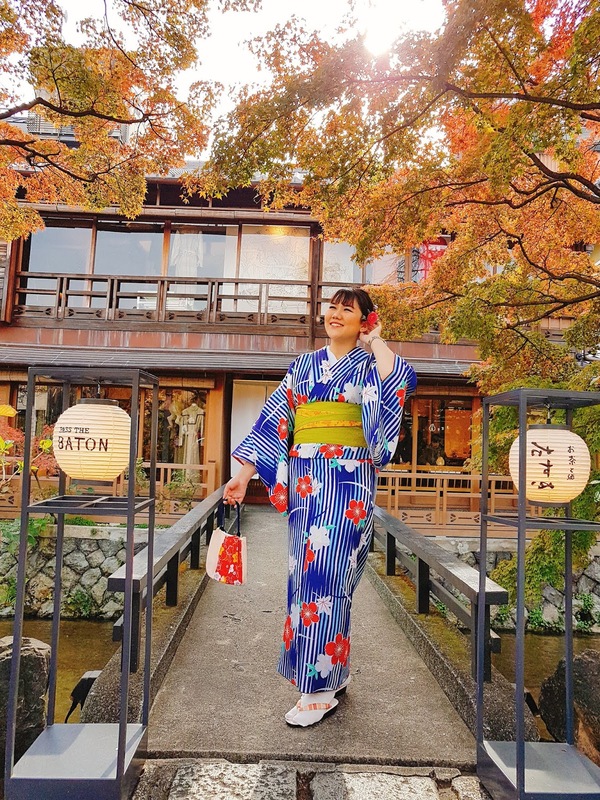 The step by step is very simple and I think it's easy to follow.